It’s really hard to figure out who you are when you’re an adult, and I can’t even begin to remember what it was like when I was a kid. In fact, when we’re kids, I don’t even think we consider the idea of identity quite yet, or at least not in a serious enough sense where we begin to consider who we are in the context of the greater world. I think that, in order to discover that sense of identity, it takes a bit of perspective, a bit of empathy, and a moment of realizing that you don’t know as much as you thought about yourself. 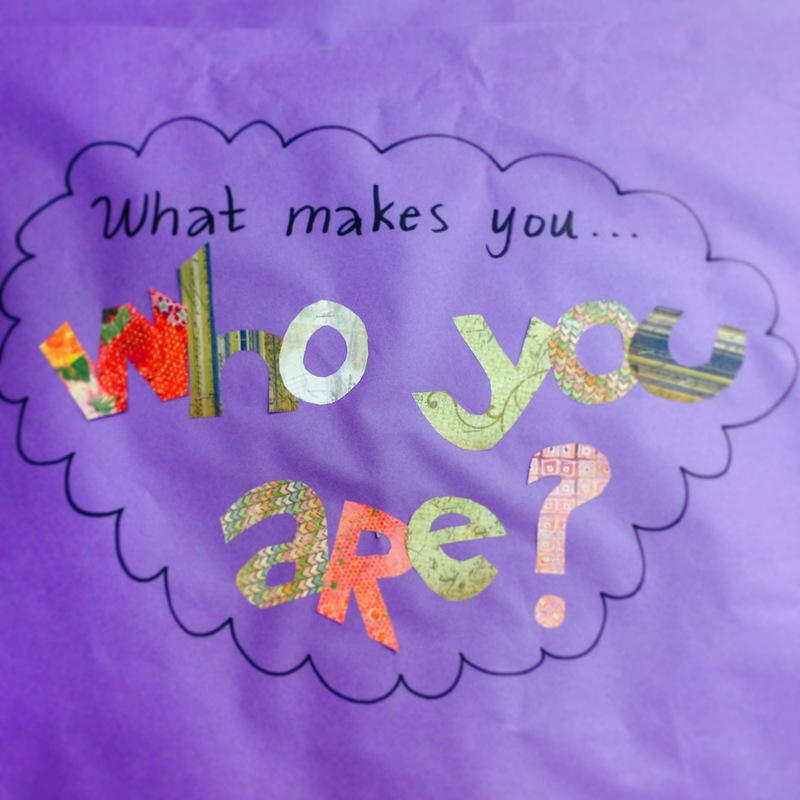 This was overwhelmingly evident in my first day of my “What Makes You Who You Are?” unit. 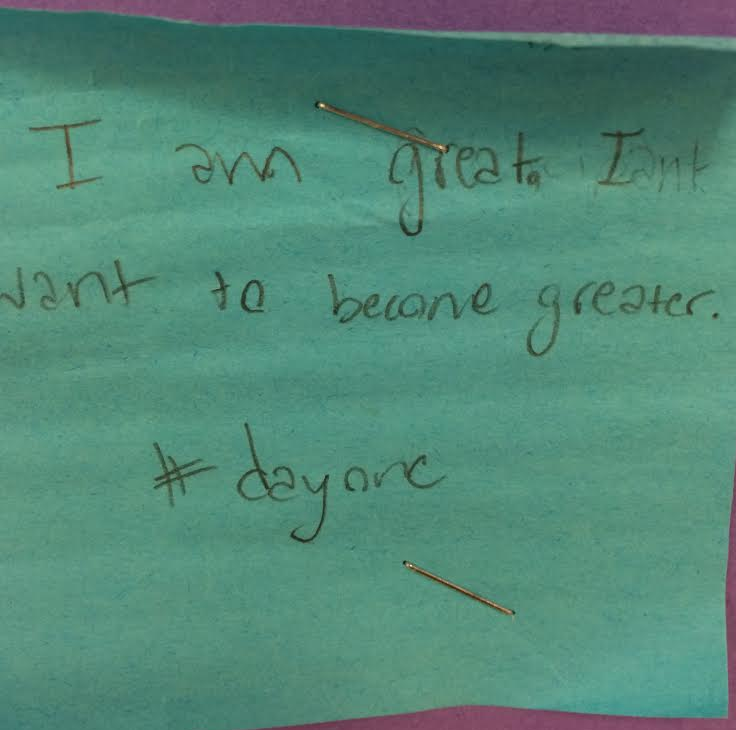 After giving the kids a short activity where they had to describe who they were, who they are, and who they want to be, I asked them to capture a “big idea” in an under-15-word phrase, which they would cleverly hashtag: #dayone. A lot of them had very typical ideas; in fact, I’d go so far as to say that many of them were cliche. Almost like they wrote down what I wanted them to say. And I don’t blame them entirely. Like I said, it’s hard to know who you are, even as an adult, and I thought they may not be quite developmentally ready to discuss the depths of identity at such a young age. But that sure as hell wasn’t going to stop me from trying. I was a bit disgruntled the first day and feeling like 2 years of hard work on deep thinking had not paid off in the way that I’d hoped. 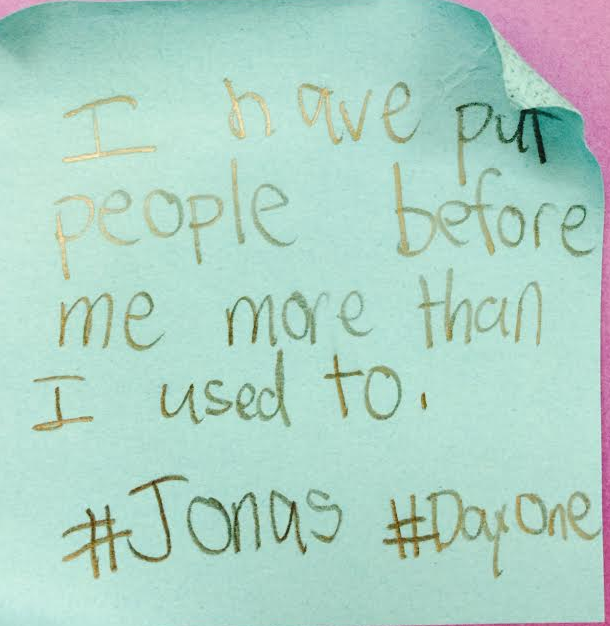 They weren’t being insightful or introspective, like they were during our values unit. However, I saw other opportunities to start helping them see the various ways in which someone can find their identity. First, we watched a TED video, to go along with our TED unit while supporting this mini-unit on identity. 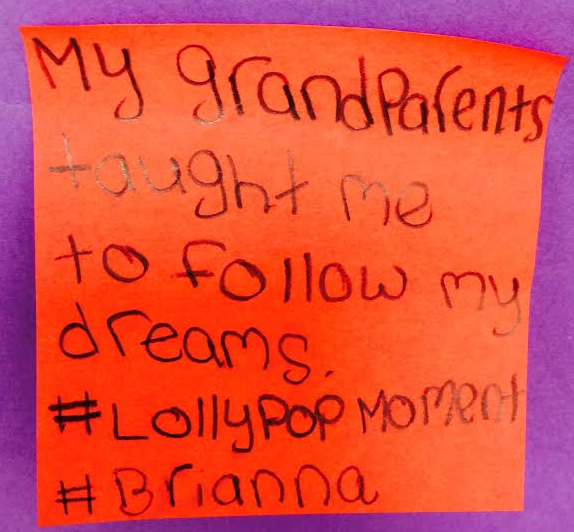 In his video, posted below, Drew Dudley talks about “lollipop moments,” or little moments that can change the course of our lives forever. 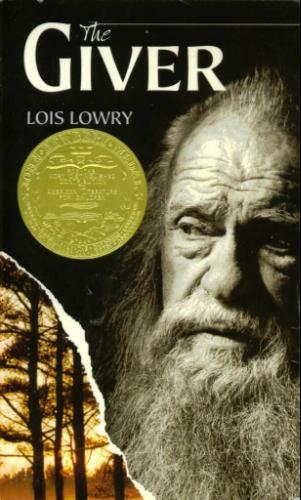 I probably should mention that we’re also reading Lois Lowry’s The Giver, an incredible book on a utopian society dominated by rigid rules and routines, all with the intention to promote a sense of harmony through sameness. Within the first few chapters, the kids were hooked–stunned by the idea that a society would try to make everyone think and act in the same manner. I think they were even more stunned to realize that the book is allegorical in nature for time periods, like the Holocaust, already within the realm of their background knowledge. 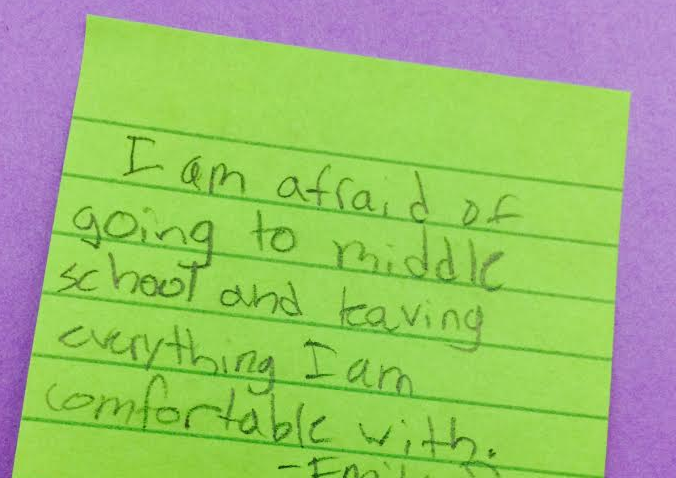 Most students responded by saying that they wanted everything “perfect”–that they wanted there to be no problems. They even went so far as to admit that there were some benefits to this, but they also began to see that this could never truly be realized. In fact, within the first chapters of the book, they already saw some of the problems with the community, especially the lengths to which these people went to make sure that conformity and authority were respected. Quickly, they listed a few ideas, such as past experiences or the unknown. I was happy to see that their deep thinking skills were coming out again. They just needed a book to anchor the experience. 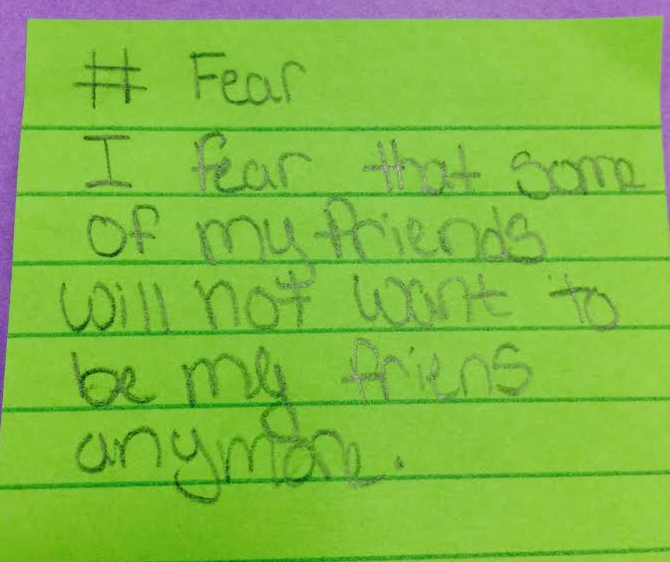 From there, we discussed the consequences of fear. 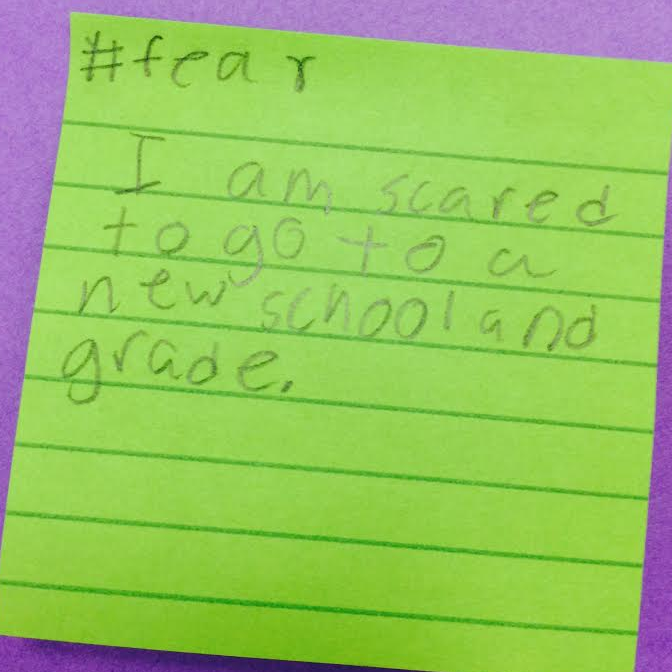 I asked them about what people do when they are afraid; I asked them how they reacted. 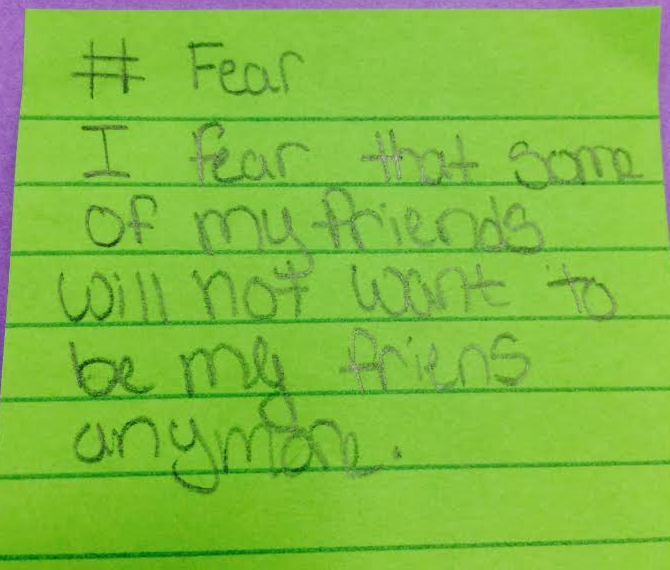 Shortly thereafter, we decided that this community’s way of dealing with its fear was through controlling everything–by setting rules, by giving people “assignments” instead of choosing jobs, by using euphemisms that helped make everything sound better than it actually was. But the best part about it was it led to this last part of our discussion. 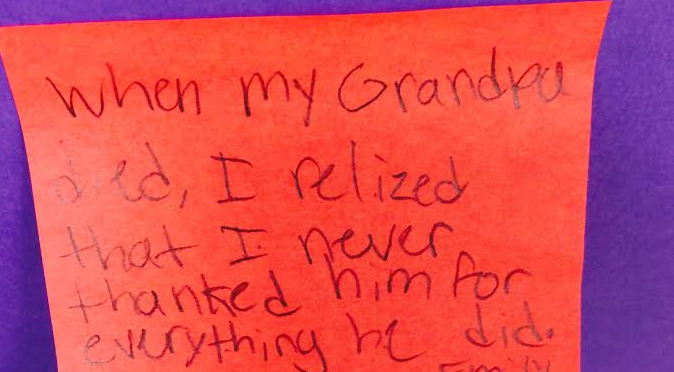 As it turns out, it isn’t too soon to discuss identity with kids. They showed me today that with the right materials combined with critical questioning embedded into an authentic experience can help kids, once again, learn how to read and write, meanwhile enriching the whole child and teaching them how to think, feel, and express those feelings in a positive and constructive way. Looking forward to what’s to come.